We are experts at installing the roof you need, whether it be metal, composite, cedar shake, or a flat roof. 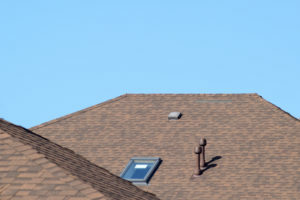 Read on for more information on each roof type and our roofing services in Maryland. Composition – Composite shingles are made of asphalt and laminated fiberglass. They give the look of real wood shakes while providing better protection and ventilation for a longer life. For the best of both worlds, composition roofs are the way to go. Noonan Construction is a certified Shinglemaster with Certainteed and certified GAF product installer. Other product options include IKO, and Owings Corning. Metal Roofing – We provide full-scale metal roofing installation services to homeowners and businesses. We offer a wide selection of metal roofing profiles including aluminum shingles, steel roofing panels, standing seam, and stone coated tiles. We can also supply and install custom metal roofs. Our systems are available in aluminum, Galvalume, copper, and stone coated steel. Flat Roofs – Flat roof repair and re-roofing is a different process from any other type of roof. As the rain doesn’t run down the side of a flat roof, these must have a much better seal covering the entire roof. Laying down a layer of hot tar is a superb way to create the seal needed to keep you dry during the rainy season. Noonan Construction specializes in EPDM or more commonly know Rubber Roofing systems, and Torch-Down a method of application where the material that makes contact with the sheathing underneath is melted with a torch which seals the material. This provides a secure hold and creates a waterproof seal which can last anywhere from 15-20 year depending upon how many layers are applied. We also specialize in applying the silicon roofing product GACO . All of these materials offer a weather-resistant, waterproof seals. Green Roofing – Green roofs (also known as eco-roofs or living roofs) help reduce the negative side effects of conventional roofing, while adding green space to your property. They consist of various roofing layers topped with a soil-like growing medium and plants chosen for their ability to withstand a roof’s extreme conditions. Residential-scale versions usually have a much thinner layer of growing medium than their commercial cousins, with low-growing plants from the succulent family and other rock-garden-friendly varieties. Venting and Gutters – Venting and gutter installation are other services that we offer which can add real value to your home. New vents allow fresh air into your house while keeping rain and snow out. Good ventilation can also help to prohibit mold from growing in your home. And living in the Maryland, Virginia and DC area, everyone knows the importance of good gutters! But besides being useful, new gutters can help freshen the look and add value for an older home. Skylights to Brighten your Home – Providing 30% more natural light than vertical windows, skylights are a spectacular way to open up a room. They can also provide ventilation, and come in a wide variety of sizes to fit into most any ceiling. We use high quality Velux skylights.